A nationally recognized Professional Certified Coach, Angela Cusack heads Igniting-Success, Inc., a leadership excellence organization partnering with executive leaders to empower them beyond the typical installation of key initiatives, such as strategic planning, change management, team and leadership development, business and sales management process enhancement, and moves toward fully realizing the impact of their efforts. Angela is skilled in working with multi-cultural leadership teams and global organizations; in fact, Angela serves as a coach to the TED Fellows program that helps world-changing innovators from around the globe amplify the impact of their remarkable projects and activities (www.TED.com). She also works with the Unreasonable Institute where she coaches high-impact entrepreneurs across the world, offering them a broad foundation from which to create sustainable and powerful outcomes. (www.unreasonableinstitute.org). Additionally, Angela leverages her 25-years of corporate experience along with her Master's degree in Human and Organizational Learning from George Washington University to collaborate with nonprofit executive directors and their boards of directors to fundamentally redesign their approach to leading by refocusing on the value of “doing good to do well.” In addition to her own business, Angela recently joined 3north, a design and architectural firm, as the Lead Principal responsible for organizational development, culture, and strategic alignment. Carol is a Newfield program and mentor coach and also Newfield's ICF, ACTO, and Program Coach Coordinator. Areas of expertise include an understanding of the latest research in the science of the brain/body and extensive study of energy through Reiki and Qi Chong. Carol is the author of 5 Life Energies: The Choice You Have in How Energy Shapes Your Life. She co-created JICT Images: Journey with Intuition & Creativity for Transformation, a box of 72 evocative images designed to create a metaphor for users that lead groups and individuals to the “heart of the matter." Learn more about Carol here: www.CoachDeep.com. Croft Edwards, MCC, leadership coach and speaker, is a thought leader in the field of leadership and organizational change. He is the president of CROFT Company, a global leadership and organizational change firm with clients spanning the spectrum from oil companies and manufacturing firms, to government entities and non-profits, to small businesses and start-ups. He has coached hundreds of leaders at all levels of organizations from front-line supervisors to CEOs and TED Fellows. His specialty is the study of LeadershipFlow, the melding of the emerging study of Flow with the field of Ontological Coaching which looks at how leaders show up in their use of language, moods and emotions and the body. Croft is a graduate of The Leadership and Coaching Program hosted by Newfield Network and Villanova University, Coaching Excellence in Organizations (CEO) 3-year program hosted by Newfield Network and The Institute of Generative Leadership, and several somatic coaching courses from the Strozzi Institute. He has a BA in Finance from Michigan State University, an MA in Civil War Studies from the American Military University and an MBA from Auburn University. He is an ICF Master Certified Coach (MCC) and a Newfield Certified Ontological Coach (NCOC). Croft is also a retired Army officer with a decorated career as a command and staff officer in the United States Army, both active and reserve. He and his wife and three daughters currently live in Grand Rapids, Michigan. Deanne is an Executive & Organizational Coach, Newfield Program Coach and the Director of Programs for Newfield Network. She is dedicated to providing leadership coaching, transformational learning, and training programs to companies and clients looking to achieve sustainable success. She coaches internationally and oversees programs, projects, and conferences geared toward teaching the skills needed to become a coach and masterful leader in business and life. Her comprehensive program management knowledge and coaching acumen allows her to guide leaders to focus their vision, design conversations, and establish meaningful connections with their teams to inspire, motivate, and deliver results and revenue. Deanne's training and certifications include: Credentialed Professional Certified Coach by the International Coach Federation, Newfield Certified Coach, trained in Coaching Excellence in Organizations with the Institute of Generative Leadership, Certified SOAR Facilitator and Trainer (SOAR- Success through Observer-Action-Results), and Level 1 Certified in the Alba Method. Her interests in transformation learning methodologies, drawing & painting, meditation, and yoga bring a unique perspective to her work with her clients. Deepa is an Executive Coach in Leadership Development and teaches at Fielding University in their Evidence Based Coaching Program. Deepa works with a diverse group of Senior Executives in India and the USA and is on the Executive Coaching bench of several Universities including Wharton School of Business and Villanova University. Deepa works with her clients to enhance self-leadership skills by bringing their awareness to their purpose, values, and passion. She has worked extensively with women leaders and specializes in the support of high potential leaders. She works with executives as they make a career move, experience a job change, face the challenge of a culturally diverse work group, or handle difficult relationships. Deepa holds a Ph.D. and an M.Phil. in Organizational Behavior and Industrial Psychology from the Stern School of Business, New York University. She is certified as a Somatic Coach (Strozzi Institute) and is a Newfield Ontological Coach in addition to being credentialed as a MCC with ICF. Deepa’s interest in transformational learning, meditation, and yoga, she brings a unique perspective to her work with her clients. Jack is an executive/leadership coach and organization development consultant with more than 20 years of experience partnering with leaders, their teams and organizations to generate the future they desire. His clients include leaders and leadership teams in Fortune 500 companies and many major not-for-profit organizations. He partners with his clients in generative conversations that transform their performance and their effectiveness. This partnership may include working together to design and implement organizational development interventions, team building, strategic planning, whole system change initiatives, innovation and creativity initiatives and individual leadership development. Jack served as the internal Senior Executive Coach and Organizational Development Consultant for the National Headquarters of the American Red Cross, the Smithsonian Institution, and the U.S. Naval Facilities Engineering Command. In those positions, he worked with Admirals, Under Secretaries, Senior Vice Presidents and many other top leaders as well as, their staff to generate a different future. He also consulted with organizations and lead innovation and creative interventions and processes. He is certified in many instruments and organizational and individual assessment tools. Jack not only has individual leaders and leadership teams for his clients, he is a mentor and program coach with Newfield Network, Newfield Asia and Coaching Excellence in Organizations. Jack currently serves on the Internal Review Board for the International Coach Federation. Jane’s career theme is supporting the personal growth and development of her clients. Jane works with clients as a coach, educator, and facilitator to search for ways to bring more passion, purpose and meaning to their lives. The greatest discovery of her 13 years as a Newfield coach has been learning how to use the wisdom of the body and the transformative power of movement and dance in her work. Now a baby boomer, Jane focuses her practice on the challenges and opportunities of this stage of life. She creates critical conversations with individuals and small groups on how to reinvent retirement and age wisely. Many in their 50’s, 60’s, and 70’s are terrified of growing older and cannot see the possibilities for creating a third chapter of life. Jane is thrilled to play a role in developing this new paradigm of aging. Jane holds certifications from Newfield Network, International Coaching Federation, True Purpose Institute®, Five Rings Somatic Coaching, Retirement Options™, and Wise Aging Facilitation with the Institute of Jewish Spirituality. Jane has a BS in education from Northwestern University, and graduate degrees in human development from George Washington and Marymount Universities. Jill is an executive/personal coach and workshop facilitator who is keenly interested in how, by increasing our awareness, we can leave our non-serving habitual ways behind and move through life with more ease, effectiveness, and presence. Jill has a direct coaching style that she combines with humor to challenge her coaching clients to develop a deeper understanding of how they are perceived and their impact on others. Her clients are in a variety of industries, including financial services, strategic consulting, government, NGO’s, media, publishing, education and the arts. Jill has been partnering with Newfield Network since 2007. Jill’s coaching is influenced by her work as a Feldenkrais Somatic Method Practitioner, Awareness through Movement® teacher, stage actor, artist-in-residence and…a life well-lived. Her coaching graduate studies include Newfield’s Integral Pathways (2007) and Body and Movement (2012). In addition to Newfield and ICF coaching credentials, Jill holds graduate certificates from the Feldenkrais Guild of North America and Circle in the Square Theatre School, NYC, and studied English Literature at University College, London. A Maine native, outdoor enthusiast and avid traveler, Jill and her husband make their home on the Upper West Side of Manhattan. 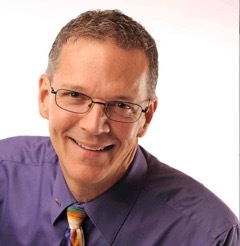 Jim Smith is an executive coach, international speaker, and facilitator doing business as The Executive Happiness Coach®. Jim's passion is to create a Happier World and Workplace, one leader at a time. He has worked with leaders in 27 countries and on six continents to expand their awareness, create a more effective leadership presence and skill set, build teams, and achieve better balance. Jim has served as a Newfield mentor coach since 2007. His credentials include: Professional Certified Coach (PCC) thru the International Coach Federation, Newfield Certified Ontological Coach ™, and Certified Authentic Happiness Coach. He holds credentials in Emotional Intelligence, Positive Psychology, Appreciative Inquiry, and as a Body and Movement practitioner, all of which inform his coaching practice and presence. Finally, Jim wants you to know this: He practices yoga daily, worships dark beer, dark coffee, and dark chocolate, and deeply believes that happiness is a decision, not an event! Kimberly Hunn is a Master Certified Coach, dialogue facilitator, and entrepreneur with experience in the design and delivery of innovative learning systems and cultural change initiatives. She is the founder of Edgewalker Group International, a collaborative network of business leaders and consultants dedicated to transformative learning and shaping organizational development for social, economic and environmental impact. Working with executives, academics, and entrepreneurs, Kimberly offers an integrated approach to leadership development to achieve conversational competence, team alignment and the fulfillment of company strategy. She played a key role in the European World Café in Bilbao, Spain to facilitate a citywide dialogue on urban renewal and is the author of the Edgewalker Transition, a customized program for people initiating a professional transition. Co-creator of Coaching for the Global Professional, Integrating Chaos and Structure and Gap Lab, her work is innovative, bold and engaging. As a Leadership and Culture Coach, Kymberly Johnson helps leaders and business owners who want to achieve something significant, up-level their people leading capacities to create strong, resilient cultures that attract the best people. Kymberly's passion for human potential and for creating transformational experiences is at the core of her work with leaders, coaching them to develop impactful presence, to build high-quality relationships, and to act in ways that others are inspired to follow. From founding and leading an independent school, to co-leading Vision Quests, to facilitating performance and leadership trainings for culture change, Kymberly brings her diverse experience in human transformation to her work with those who lead others. Kymberly's Training and Certifications Include: Professional Certified Coach with the International Coach Federation; Newfield Certified Ontological Coach; Coaching Excellence in Organizations Executive Coach; Certified Co-Active Coach; Certified Gestalt and Expressive Therapist, Licensed Psychotherapist. Kymberly's most significant trainings transpired while climbing mountains on foot and on skis, hiking some of the world's great wilderness areas, and racing mountain bikes in hard-to-reach places. Marty Raphael holds MCC (Master Certified Coach) credentials from the International Coaches Federation. She is also a New Mexico Certified Mediator and trained in basic and advanced IACP (international Association of Collaborative Professionals) Principles to work with families who are restructuring their relationships for higher quality of living, better parenting or co-parenting dynamics (in the case of divorcing couples). In her coaching and consulting capacity, Marty serves individuals across North America, Europe, and Asia as a Leadership Development and Innovative Teams Coach and is owner of Global Connections Coaching & Consulting, Inc. She earned the NCOC (Newfield Certified Ontological Coach) certification through Newfield Network where she serves as an International Program Coach, Mentor Coach, and teacher. Her coaching, mentoring and teaching includes areas of expertise and focuses on an understanding of the latest research in the science of the brain/body and how our view of the world affects how we think, feel, and move and, thus, how we appear to others with whom we interact. Ondine Norman brings 20 years of experience as an Executive Coach and Organizational Facilitator to her work. Over the past 15 years, she has formally coached over 150 people in a number of industry sectors. She specializes in leadership training/coaching, interpersonal communications, change management, and conversational competence. She uses the tools of consultation, coaching, team building and group facilitation to help clients build stronger partnerships that yield excellent business results. A simple, unifying thread ties together Ondine’s approach. She strives to leave her clients not just more capable and skilled, but also personally enriched. She believes that development of communication skills for an executive means developing congruence of language, physical presence, and emotional intelligence. To this end, she brings her experience as an actor and diversity trainer to lead clients to a higher level of purposeful action. Her style is a balance of being warm, supportive, and challenging as well as focusing on leading during difficult times. Ondine’s training and certifications include: Masters in Counseling Psychology, Licensed Marriage and Family Therapist in both the State of California and New York, Credentialed PCC by the International Coach Federation, Newfield Certified Coach, Certified Social Style model facilitator, Certified MBTI and DiSC Assessment Facilitator, Master Practitioner License in NLP and Certification in the EQ Baron Assessment Tool. Stell enjoys calling herself a General Practitioner Coach. Staying true to the craft of Ontological Coaching (in its pure essence, the study of being human), her commitment is always to the person before her. Stell is known for her genuine warm presence and well-developed emotional intelligence. She gets to the heart of the matter using Newfield’s multiple entry points to invite personal development and sustainable change. Having begun her ontological studies in 1989 and with over 20 years as a personal and executive coach, Stell’s experience runs long and deep. Additionally, Stell’s first-hand experience living cross-culturally, informs her generative fluency in working with clients from North and South Americas, the Caribbean, and Europe.